"Mesego a Keresemose!" (Merry Christmas in Twana, the main language of Munsieville). 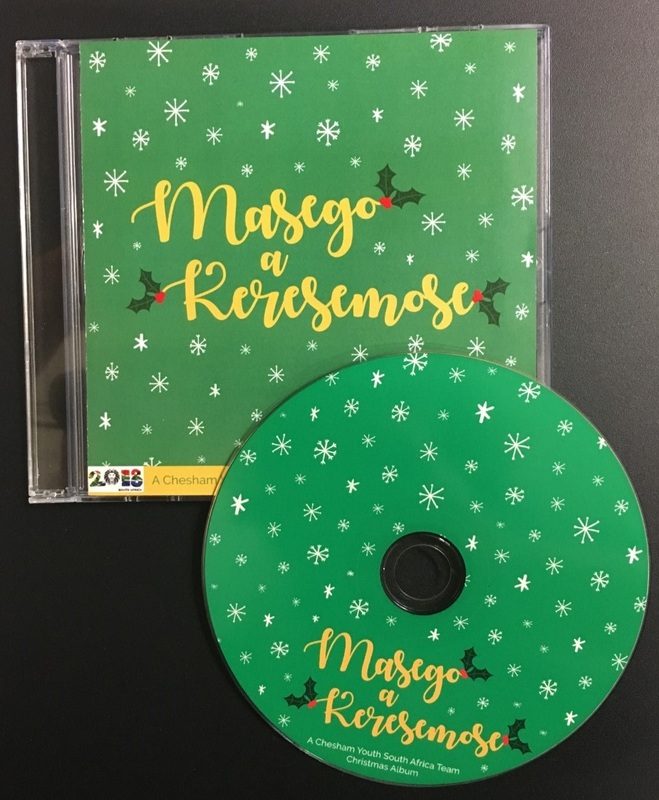 Celebrate the Festive Season with this beautiful music CD blending the skills of professional musicians with the voices of 28 young people who will travel to Munsieville in July 2018 to support Project HOPE UK's mission to transform the health and life-chances of over 10,000 vulnerable children in the township. All proceeds from the sale of the CDs will be used to fund this important initiative. The visiting team all come from Chesham in Buckinghamshire and attend churches in the town. They have been planning the visit for over a year, working closely with Paul Brooks, CEO of Project HOPE UK to ensure that the trip has a lasting impact on the host community as well as helping to shape the world view of the young people themselves. Traditional favourites such as "Silent Night" and "Hark the Herald" are included in the CD's 14 tracks, along with and African themed "A Child is Born" and Bob Geldof and Midge Ure's modern classic "Do they Know It's Christmas?". Order your copy on eBay here for only £10 plus £2 p&p, or contact us to buy a copy with a credit/debit card (fill in the enquiry form and we will email you to arrange payment).